FAO Schwarz (a Toys’R’Us owned store) is set to close it’s doors in NYC on July 15 due to rising rental costs for the store front. But don’t lose heart, toy lovers. 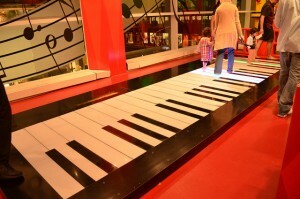 The company is seeking another Manhattan location — possibly near Times Square — for the store that gained global fame after it was featured in “Big,” the 1988 hit movie that featured actors Tom Hanks and Robert Loggia dancing on a giant toy piano across the FAO Schwarz floor. Working with landlord Boston Properties, Toys “R” Us opted not to renew its lease. Instead the company reached agreement to move out of the two floors FAO Schwarz occupies in the General Motors building before the deal’s 2017 expiration, Toy’s “R” Us said in a statement. Find out more at USA Today. Why is Unemployment So Historically High?